Moroccan artist Mounir Fatmi's latest exhibition, Seeing is Believing explores the current events occurring across the globe, clarifying both the origins and symptoms of contemporary these global issues. Nevertheless, his videos, installations, drawings, paintings and sculptures draws our attention to the misconceptions of architecture, history, politics and religion that often is misrepresented. His art not only serves to touch on the event itself but he undergoes an in-depth discussion of the life of others: those individuals and communities involved or affected by these occurrences. This exhibition is his first solo exhibition with the Parisian gallery. All the pieces for this exhibition frames Fatmi's artistic language and expression in graphic and aesthetic quality that opens a new way of understanding the nature of his work. The center piece in the exhibition, entitled "Les Assassins" is comprised of approximately 80 hookahs (also known as sheeshas), arranged and laid out specifically for the viewers to indulge and take a friendly puff. This piece is rich in context as it traces the etymology of the word assassin, which was believed to come from the word hasish or Haschichiyoun. His level of interest and linguistics behind his conceptual pieces never fails to interest the audience as it often raises questions that leaves us with a task to justify the truth. Fatmi has a unique and of course, rebellious take on expressing his intentions and criticism on modern society and governmental actions. 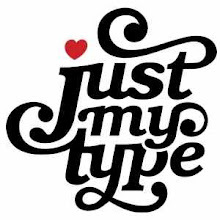 Nevertheless, it is that very nature of layering of interpretation that creates a dynamic and plausible argument. I highly recommend you to look into it if your around. 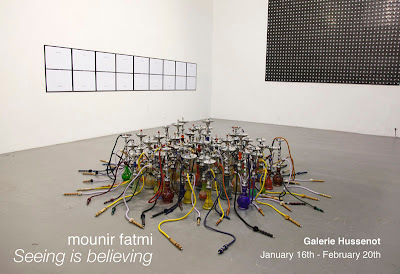 Mounir Fatmi will be exhibiting at Galerie Hussenot until February 20th, 2010.